So the delightful miss Macy the Border Collie / Aussie mix has been here just over 5 months now. I’ve revisited dog ownership in a big way, and also dipped into my sample case and picked out some great things that we use in our everyday life. Hands down the most useful thing I use is our Beyond Control Lead. 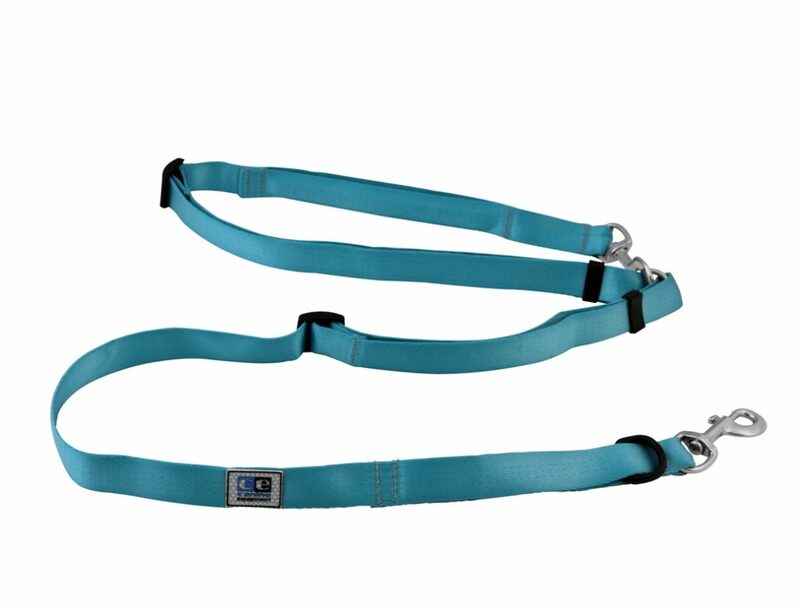 I’m a birder, but Macy chases birds so when I bird she has to be on leash (unless they are Pelagic or Raptors of course). To hold the bins and camera and a nutty young herding dog is beyond me so tied to my waist she goes. Here are a few new things we’ve been able to test out and have been very pleased with. We live by the ocean so her hot pink Sparky’s Choice Collar from Auburn Leathercrafters is great. We needed something waterproof and stinkproof since me and Macy swim together a lot! 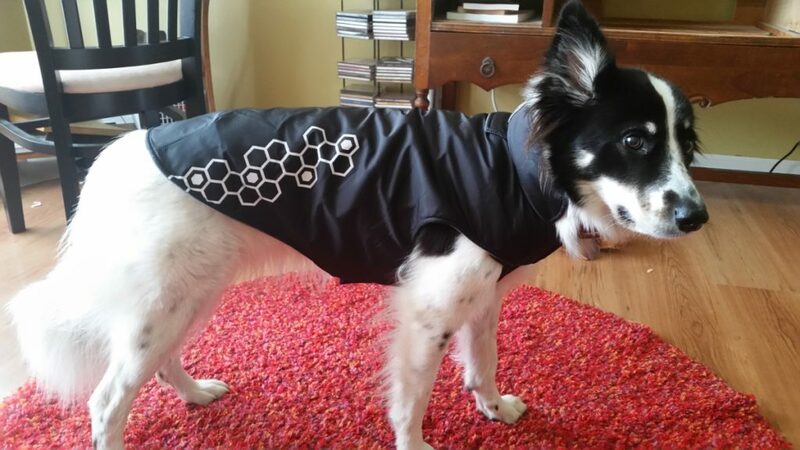 Even though it’s almost 20 degrees here today we know that is not going to last so today I outfitted Macy with a new Venture Outerwear jacket from RC Pets. She is just about 40 lbs and this size 20 fits great! 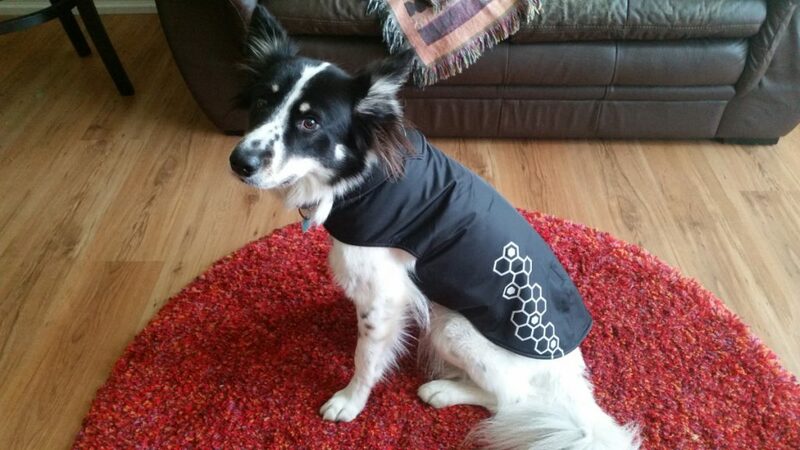 Basic black for my stylish lady with a reflective honeycomb pattern for dark nights. Macy looks confused because she doesn’t know how to do “stand stay” only sit and can’t understand why I don’t want her to do that – she’s all like what already ma? I am a sucker for a good leather collar with brass fittings and her new Lake Country Sunburst Collar in Tan from Auburn Leathercrafters is getting compliments every time we walk. Classic for my purdy girl. I’ll work on a better photo hard to get a teenager to stay still! Macy is pretty lucky her mom is a sales rep because for weeks she’s been playing with a toy that is just shipping out to retail this week. 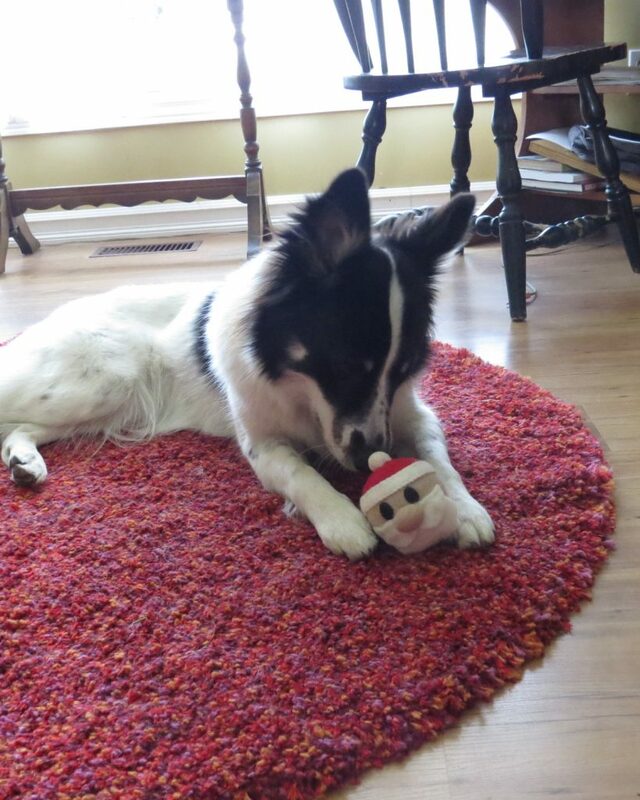 Keep an eye out for her favorite limited edition Santa from RC Pets new Wooly Wonks Toy collection. She’s also a big fan of the Toy Woodland Stone she keeps trying to steal from my sample bag. Maybe because they are made of wool and she’s a sheep dog? Hmmm. Well she has been playing with hers everyday and it’s holding up well although they are not meant to last forever of course. Once’s Santa’s reduced down to a ball he might make it a year or two though you never know. No matter now much she plays with this it never feels soggy and gross when I pick it up so it’s a winner for me as a toy I can throw from bed while drinking weekend coffees in bed. 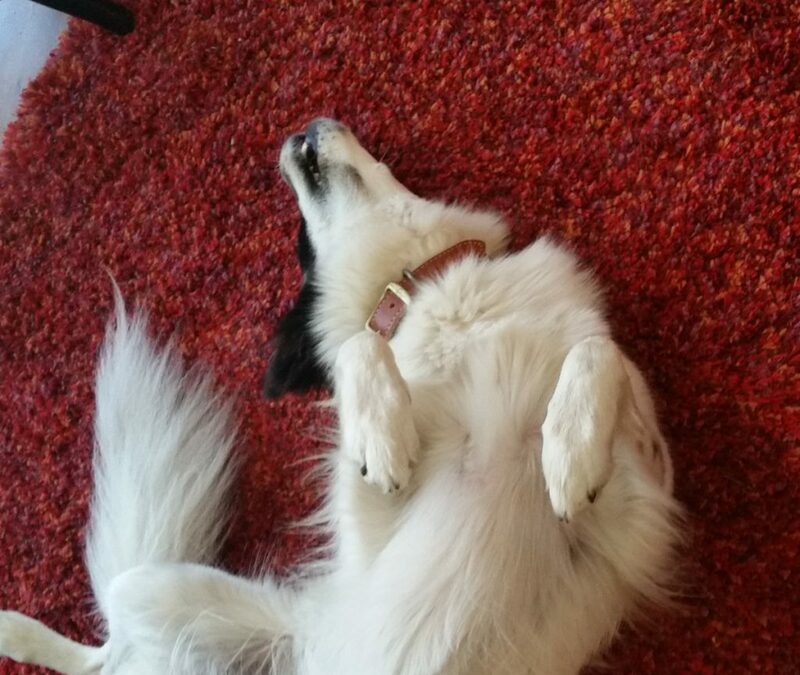 Yes there are ways to rest when you own a Border Collie.